Hi I have been reading your story about how you started up in the mobile catering business. I am 27 and looking at starting my own small business with a mobile catering van. I have looked a buying some vans and would like to know if I should by second hand or brand new one. I am currently working as a sales rep and want to be able to get the rewards through the hard work and to offer a great customer service that they will always come back. I know things take time but I do want to be able to grow the business to maybe having a few different vans. I want to look back just as you did and say that this was defiantly a risk worth taken. I am really determined to do this and to make this work. I look forward to hear from you. 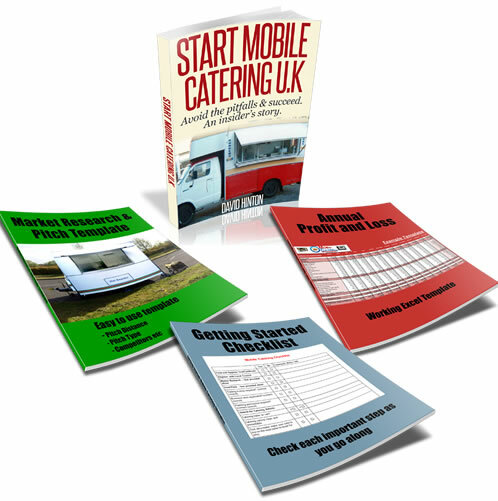 Comments for Mobile Catering - Should I Buy a Catering Van New or Second Hand? Hi iv`e been in the moblie catering 18 years.The best advise i can give any one, who is thinking of starting up. HI james just read your comment, and like you my husband and i are going into the mobile catering business for the first time, we have done a lot of home work and found this web site very useful, and we are going to buy a second hand catering van to start off and if all well in the future will buy a new one, all the best with yours. If you can find a second hand catering van this will be a cheaper option for you to get started and just as good as a brand new one. Also bear in mind that some pitches will not accept a catering van because of the combination of gas, engine and diesel mix. This happened to me on a few occasions and in the end I also purchased a catering trailer. Do your home work James before you commit to anything. Find and secure a pitch first and then buy your catering van or trailer. Don’t forget you also have the option of renting a trailer or van to try the business out. If you can take the time to plan a little - it will make you a smarter person than me when I first started.